Discover a full range of Konica Minolta printers and copiers in Melbourne. Call one of our experts today. Our range of Konica Minolta printers are made to enhance everyday and advanced printing tasks. 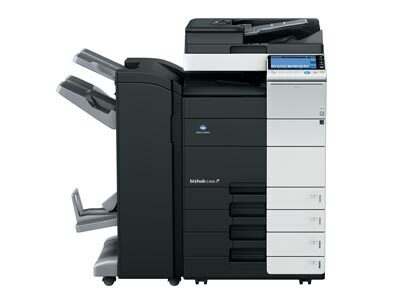 Find a printer model within the esteemed Konica Minolta BizHub or Konica Minolta Magicolour range. Offices are changing. That's why the Konica Minolta printer range accommodates sharing and reproduction capabilities, complete with smart device integration. Your Copysonic service agreement will be customised to suit your Konica Minolta copiers usage. Regular maintenance checks and toner refills can be arranged to ensure the smooth running of your Konica Minolta printer. A 90 day warranty or 10,000 prints warranty comes with the purchase of your Konica Minolta printer from Copysonic. This includes not only new models, but also used Konica Minolta printer purchases. 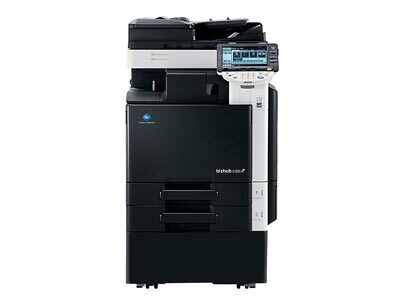 Our range of new Konica Minolta copiers and printers offer state of the art technology and seamless connectivity across the BizHub and Magicolour range. Your new model will streamline productivity with sharing capabilities across smart devices in the office. Our Konica Minolta printer technicians refurbish an entire range of Konica Minolta copiers and printers across the BizHub and Magicolour range. Secure your used model with the confidence that each printer and copier will be in great working condition. It's our guarantee. For over 25 years we have stocked, supported, installed and integrated a range of reliable brands such as the reputable Konica Minolta copiers and Konica Minolta printers. No office runs the same. We survey the workflow and budget expectations of your office to provide you a tailored solution and payment plan. We understand business demands, that's why our technicians carry out same day service calls for repairs, maintenance, and refills. Your Copysonic service agreement covers repairs and refills that may be required for your Konica Minolta copier or printer. With a minimum of 15 years experience, each Copysonic technician is experienced in brand-specific photocopier repairs including Konica Minolta printers and copiers. Talk to one of our print experts, and find a new Konica Minolta printer that will enhance workflow through smart office features. Contact our specialists by phone or email to discuss your office's needs and expectations. Alternatively, we will happily facilitate a face-to-face meeting if this is more convenient for you and your team. Based on the specific needs of your business, our specialists will provide a few quotes on the models best for you. These recommendations are designed to adhere to your budget expectations and office workflow. Once you decide on your new model we discuss payment options. Finance can be arranged to pay off a new model gradually, or you prefer to rent your Konica Minolta copiers or printers. We will arrange a convenient time to deliver your new Konica Minolta copiers. Our technicians will install and integrate the models with your office network. Your new printer is ready! After installation your team can begin using your new Konica Minolta printers. Our technicians will demonstrate functionality, and field any queries you may have. Can I purchase new or used Konica Minolta copiers from Copysonic? New, used and ex-demo Konica Minolta copiers are available to purchase through Copysonic. Ask about our BizHub and Magicolour range. Can you repair and service Konica Minolta copiers? Absolutely. Our team of experienced Konica Minolta copier technicians are very familiar with the Konica Minolta printer and copier range. We source genuine replacement parts so that we can repair your model and have it back to its working condition promptly. What type of warranty can you provide for a Konica Minolta copier? Your Konica Minolta printer purchase from Copysonic will come with a 90 day warranty or 10,000 print warranty. Depending on the nature of your business and usage of your model, you can claim whichever warranty comes first. Can you set up my Konica Minolta copier for networking capabilities? Absolutely. Our experienced Konica Minolta printer technicians will ensure your model is connected to the office network on the day it is delivered and installed. Still have questions? We would love to hear from you. Enter your details below, and we'll answer your questions about our range of Konica Minolta copiers today.